A rich compendium of WW1 poetry and short stories from both sides of the trenches by writers such as Siegfried Sassoon, Rupert Brooke, Wilfred Owen, Erich Maria Remarque (All Quiet on the Western Front), and many others compiled & performed by Guy Masterson in commemoration of the centenary of the Great War. Venue to provide technical assistance. A powerful compendium of the finest stories and poems of the trenches of the Great War from both sides of no-mans land. From our greatest war poets Wilfred Owen, Rupert Brooke and Siegfried Sassoon and excerpts from Erich Maria Remarque's All Quiet on the Western Front and the now mythical Christmas Truce, globally renowned, multi-award winning solo-performer, Guy Masterson (Under Milk Wood, Animal Farm) brings the WW1 trenches to life in a powerfully moving tour de force. THE title of this show gives all the warning you need about the true nature of this one-hour delivery of stories and poems from the trenches of the First World War. "This is not a barrel of laughs," actor/presenter Guy Masterson says of his one-man show. What he does provide is a wild and poignant traverse through the verse of noted war poets, including Wilfrid Owen and Siegfried Sassoon, and the retelling of first-person accounts of the men on all sides of the battle. The vivid words of poet and soldier alike recreate the contemplation before battle, the ragged thoughts of reasonable men overwhelmed as death shreds all before them, and the sometimes psychotic will to survive by any means as soldiers hurtle towards enemy trenches. And everywhere lie the broken, smashed bodies of comrades and enemies. 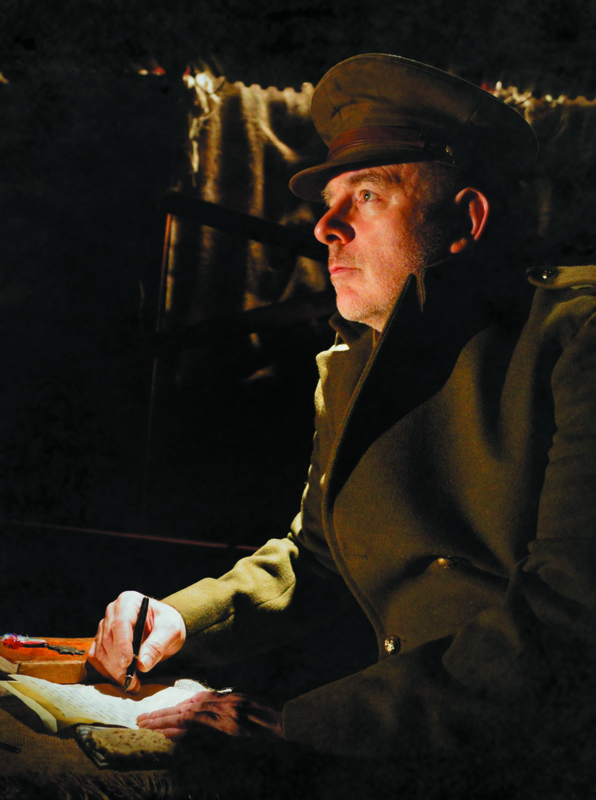 The poetry and stories of World War I are brought vividly to life in Guy Masterson's solo Fringe show 'Anthem for a Doomed Youth' at the Bakehouse Theatre. Guy Masterson is now a Fringe regular whom some festival-goers may have seen in his brilliant one-man show "Animal Farm" a few years ago. He returns this year with a very different program of poetry and stories from World War I to commemorate the centenary of the final year of that enormous conflict. Masterson is dressed in black, alone on a bare stage throughout. He acts out sections of stories but there is little of the frenetic racing across the stage that we have seen from him in past productions. This is all about the artists and their work. But also there are little known poets Paul Granier and Tom Kettle; and scraps from other writers who are virtually anonymous by virtue of their bodies having been blown unrecognisable. One poem is about the monotony of cracking lice one by one, by hand. Another has the soldier talking to a rat which has jumped over his hand; it's a promiscuous rat, this  one which will be gnashing at corpses on the German side before long. And Granier's "The Andante", in particular, contains glorious subtle imagery. There are stories that link the works. I never knew that Remarque's sister was beheaded by the Nazis in 1943 in revenge for her brother's pacifist work, and his left-wing leanings no doubt. The bill for the execution was sent to his surviving sister. Many of the works emphasise the dehumanising effect of war, reducing men to 'the indifference of wild creatures'. But there is also a lengthy enactment of an amusing conversation between a Fritz and a Tommy during the famous Christmas Day truce between the two sides  soldiers with machine guns separated by only forty metres of No Man's Land. Masterson is a terrific performer. This show confirms how poetry comes alive when it is performed, and how a judicious and sparse use of linking material can shed further light on the works, without detracting from the genius on show. Guy Masterson steps out onto the stage and introduces this production, staged to commemorate the centenary of the final year of the Great War. ANTHEM FOR A DOOMED YOUTH is the first of four plays in the 2018 Lest We Forget series. There's no set, no adornments at all apart from some sparse lighting and sound effects; just Masterson, dressed fittingly in black. He advises that works by the 'superstars' of the genre, Wilfred Owen and Siegfried Sassoon, will feature heavily, but Masterson also promises to bring us pieces from both sides of no man's land. What follows is a rather brilliant selection of poems and stories that takes the listener from the visceral reality of bodies and lives blown apart, to the more frivolous notions one might experience in the middle of the madness of war  works such as Alfred Lichtenstein's "Prayer Before Battle". He reads the only thing he could find regarding the much-mythologised 1914 Christmas Truce, before presenting his own short piece on the same topic; a light-hearted Anglo-German conversation across the trenches. Excerpts from "All Quiet On The Western Front" are dramatic, especially when placed alongside the unnerving yet gentle beauty of Albert-Paul Granier's "The Andante". The performance concludes with Masterson reciting Wilfred Owen's stirring "Dulce Et Decorum Est", setting the ultimate futility or war in sharp relief. 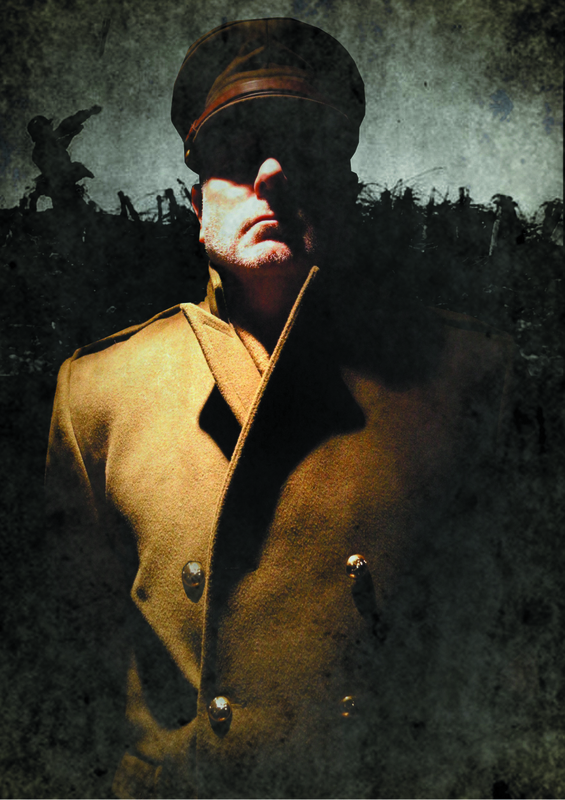 "Anthem for a Doomed Youth" is one of four productions this Fringe in the #LestWeForget series that focuses on the First World War, a selection of performances brought here from the UK by Guy Masterson. His Theatre Tours International and Adelaide Centre for International Theatre have brought us many excellent productions over the years, and this is no exception. This production features Masterson, himself, in a spoken word performance drawing on a wide range of poetry and prose from some of the greatest writers of the time. This performance takes its title from that of the poem by Wilfred Owen, whose moving poetry features several times in this performance. Interpreting great literature is nothing new to Masterson, who has previously brought us his one-man performances of "Under Milk Wood", "Fern Hill and other Dylan Thomas" and "Animal Farm". WWI, before the second one came along, was referred to as 'The Great War', and 'The War to end all Wars' which, in hindsight, was a naïvely optimistic claim. The horrors of that war, though, certainly would have suggested that nobody would ever want to repeat it. The facts and figures are all readily available; how many died, were maimed and injured in each battle on both sides. We know of mustard gas warfare and, perhaps, some of you, like me, have had the opportunity to try on a WWI gas mask and wondered how much use they really were. This production, though, does not rely on recounting those sweeping statistics, nor does it glorify war. These poems and stories are by, and about individuals and their intimate experiences. This brings home the reality of that conflict far more than numbers on a page. Lice, rats, gas attacks, mortars, rifles, and more are no longer concepts but become realities in the wonderful writings of the war poets, brought to life in the present by a master storyteller. Not all of the works are from an English perspective. Erich Maria Remarque's, "All Quiet on the Western Front" (Im Westen nichts Neues), is about German soldiers on the front line. He fought briefly on the Western Front before suffering shrapnel wounds. Masterson also tells, in a piece of his own writing, of The Christmas Truce, of 1914, a spontaneous cease-fire when troops from both sides came out into No-Man's Land to celebrate the day. He imagines a humorous interchange between an English soldier and a German soldier, calling to one another from their trenches before emerging to meet face to face. A little humour here and there is welcome to break the bleakness, the intensity, of the major part of the performance. Well-known poets, such as Rupert Brooke, Siegfried Sassoon, and Isaac Rosenberg, lesser-known writers, such as Paul Granier and Tom Kettle, and even some long forgotten and overlooked authors were selected by Masterson from over a thousand poems that he read in his researching to put this production together. It is Masterson, though, who lifts these from the written word into powerful recitations, living histories as seen through the eyes of those who were there, who suffered and died among their comrades, and now live again through these superb recitations. A little information that he provides about each of the writers adds to the works. Throughout the performance, Masterson stands alone in a pool of light, centre stage, with only a few sound effects and a number of subtle lighting changes around him for each poem, putting all of the emphasis on the texts and his voice. In this, he excels, infusing each item with great power and poignancy, moving the listeners with the verisimilitude of his embodiments of the numerous writers as he becomes their speakers. In this centenary year of World War One, I felt it would be appropriate to include one of the many shows in this year’s Fringe and Festival which cover this subject. I chose this one as I was attracted by the fact that it was to be performed by Guy Masterson, a stalwart supporter of the Fringe who has directed and performed in many successful productions over the last twenty one years. 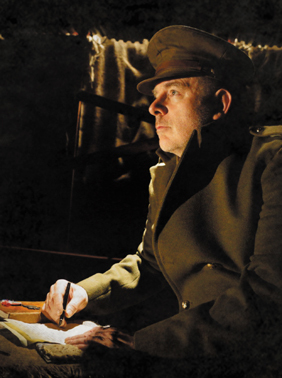 By turns harrowing, tender and witty, Guy Masterson's one-man commemoration of the soldiers of the First World War is a poetry reading of first-class calibre. With over a hundred shows during the course of twenty-one years at the Fringe, Guy Masterson has had plenty of time to cut his teeth as a performer, director and producer. This experience shows: he knows how to make an audience feel at home with off-the-cuff stage patter, providing light relief from some of the heavier material. 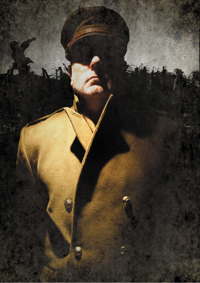 Anthem for a Doomed Youth is Guy Masterson's new work in commemoration of the Centenary of the Great War. The show is a compilation of some of the finest poetry and literature from WW1 condensed into an hour of theatre, featuring the works of well known British poets Owen, Sassoon and Brooke, but also hitherto little known French and German authors including an excerpt from Remarque's All Quiet On The Western Front. Overall, it is a powerful and moving piece; an hour where you feel you have stepped out of this frantic modern world into another, completely different one. A place where everyone's life was dominated by the war. It took me a little while to adjust to the noise and bustle of the festival and Edinburgh streets as I left; a measure of the impact it had. Guy Masterson is known for his one-man shows and his amazing memory. For this production, however, he chooses to keep the book in his hand as he does not wish it to appear as if he owns the material. 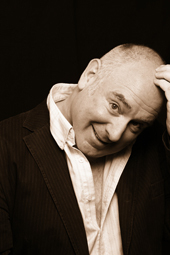 Guy Masterson has been producing hit Fringe shows for over two decades. This year, however, he is on stage immersing the audience in the horrors young men had to endure in the hell of the trenches of the First World War. I don't want to delve into the whys or wherefores of War. War is War and it is awful. I am more interested in the ultimate human drama of the combat soldier offering his life for his country or comrade, and the terrible conditions in which those dramas are played out - a theme I have explored before in A Soldier's Song about a Private in the Falklands Conflict. Over the next four years we are commemorating the Great War. Dubbed 'The War To End All Wars' (of course it wasn't and isn't) it pitted ordinary men forced to use elementary military tactics against modern killing machinery. The result was terrible, but the plethora of horror also fomented a huge poetic surge as young men sought to express their sentiments in deeper philosophical ways. I have thus chosen to confine my commemoration to the trenches and the experience of them rather than to include pre and post war sentiment and reflection. I wish to convey the poetry in the moments of ultimate experience. The fact that many of the poets featured in this compilation did not outlive the war is testament that they wrote in the moment, and the vividness of those moments is dramatic and powerful. That is what I wish to explore. My selection of Poems is not definitive; I may add to it or I might subtract from it. For now, I have picked those that speak to me the most. There are many others that I have not been able to include. And the story excerpts I have selected from Erich Maria Remarque’s extraordinary All Quiet On The Western Front are of course not poetry, but they are poetic in a different way. Some prose is required as a respite for the ear and the mind's eye. The Storyline: Guy Masterson has established himself as one of the world's foremost solo performers with globally renowned titles such as Under Milk Wood, Animal Farm and Shylock under his belt. This compendium leads us into the lives and emotions of the soldiers of the trenches of WW1. It igives a deep and compelling insight into the nature of war, sacrifice and honour. Any student of modern literature will find this production inspirational to their studies. Guy Masterson recites some of WW1's greatest writers and relives short stories as if he is the writer. The result is an immediate, poweful rendition that is impossible to resist. Workshops: Guy Masterson gives workshops in creating theatre from the written word, physical performance storytelling, theatre production, taking the stage, creation of presence and charisma within performance. Doomed Youth requires only a tall bar stool (to be provided by venue if possible) on a bare, open stage. Minimum theatrical playing area is 3 meters wide by 3 meters deep. This is compact. Larger is preferable. For Cabaret style or non-theatrical performances, ANY size will suit. It can play auditoria ranging from the intimate (50 seats) to the large (1000 seats). In bigger spaces, good computerised lighting facilities are preferable although the lighting can work manually with a minimal rig. One on the road domesticallyand internationally. Lighting Cues: 30. Lighting map supplied by downloading here. Cue script provided on day. Post programing rehearsal time with technician - 2 hours.